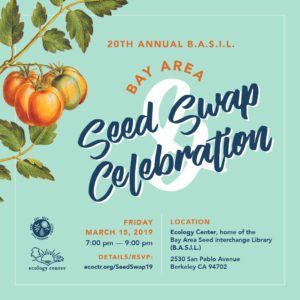 Join us for the 20th Anniversary of the Annual Seed Exchange hosted by the Bay Area Seed Interchange Library (BASIL). 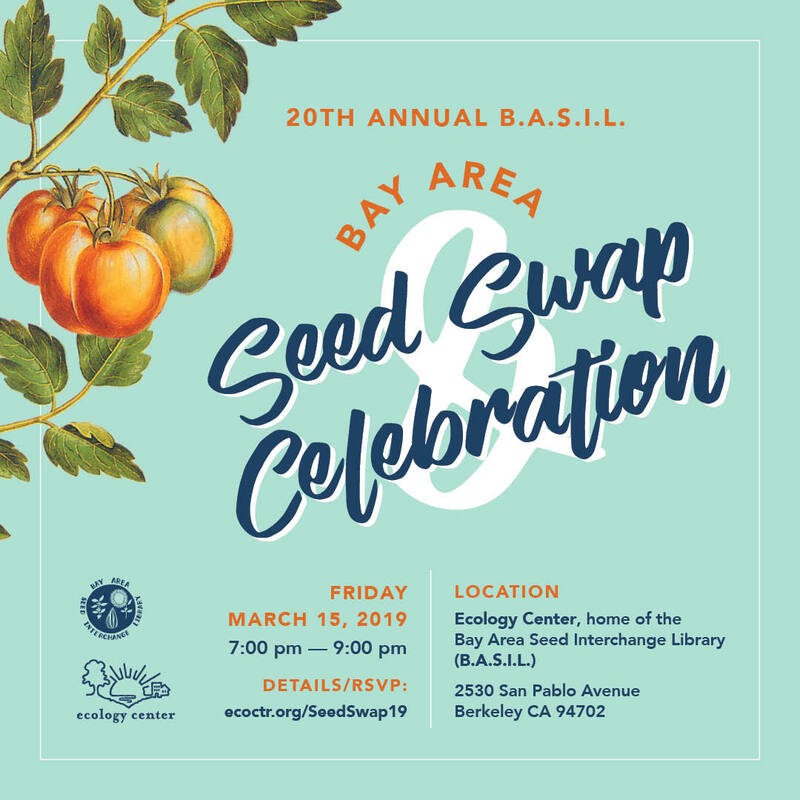 In its 20th year, this swap features speakers, a potluck dinner, and hundreds of seeds to share. Seeds from all around the Bay Area will be available to swap– take home a whole new garden! Come experience one of our most popular, fun, and knowledge- filled events! All are welcome. Co-sponsored by Indigenous Permaculture Project, Richmond Grows, Sustainable Economies Law Center, and Transition Berkeley.